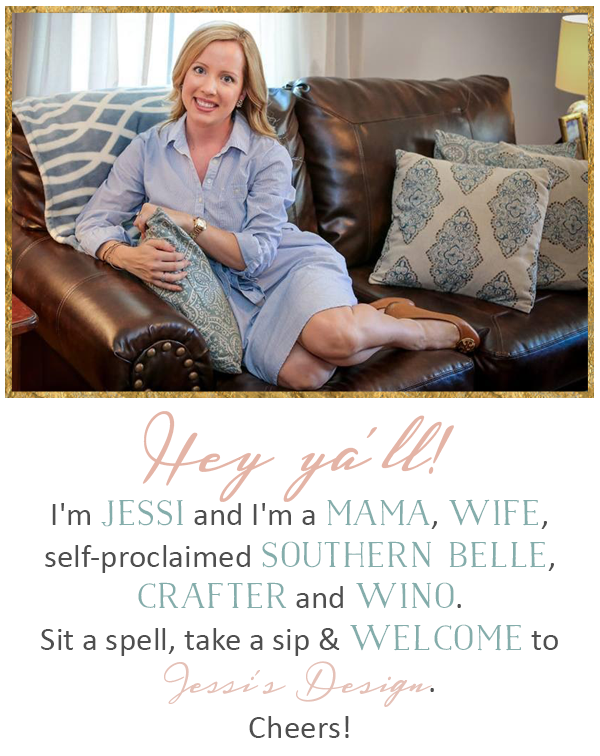 I've been so excited seeing everyone's link-up's this week that it's almost hard to keep up. I decided to have one more this week (before Friday link up haha) just because sometimes it's helpful to see what we cram into our bags! 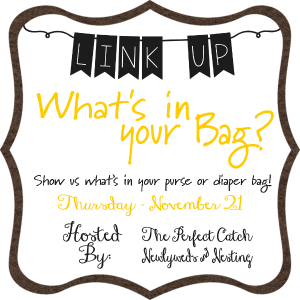 With that said, I'm linking up with Chelsea at The Perfect Catch and Ashley at Newlyweds & Nesting to reveal "What's in my bag" Now remember this could be your purse OR diaper bag! Anyway, hope everyone is having a great week and just think- it's almost Friday! What is in that bag!? 1. Two-Faced Primer travel size- one of my favorite primers! 9. Naked2 Palette- may seem extreme but it makes an excellent base shaper for my bag! I really need to buy that primer! I've heard so many good things about it. Unfortunately, I put myself on a shopping freeze...i know, i know. WORST DECISION EVER. Thank you so much for linking up with us today! 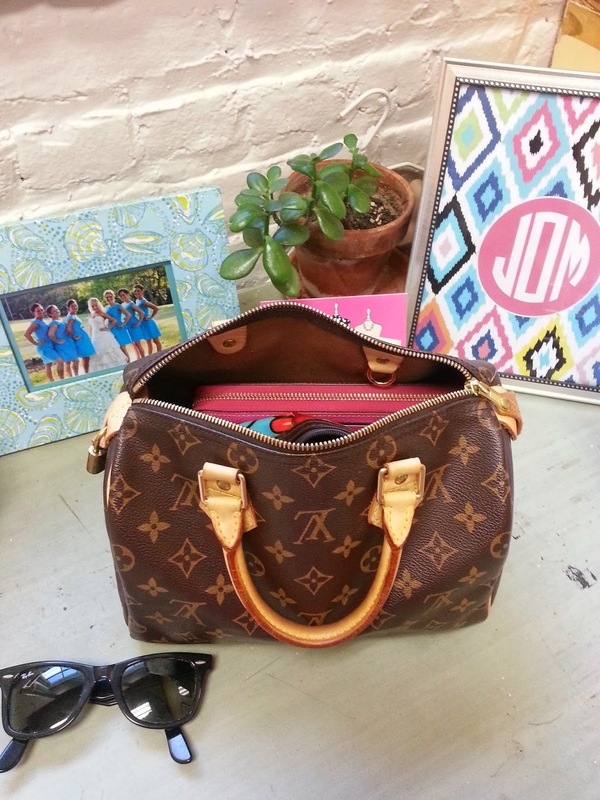 We could be besties based on our bags...love the LV and love the Kate Spade Wallet. You, me and Ashley all have the same wallets in different colors! I definitely need to check out some of your makeup must-haves. I love that Naked 2 palette also...have never carried it in my purse, but love that it would be a great little divider/base shaper lol! Thank you!! I also just saw that the Naked3 palette just released today!! haha good timing! Thanks for the link up! Love your bag and that you carry a koozie!!! Also, that is a super cute print in your first picture, mind sharing where you got it?!? I've been using it for years I feel like- I love Benefit products! I love seeing what everyone has in their bag and I keep meaning to do a post like this. And I love that KS wallet. I need to get a new wallet sometime, and love that bright pink! Hope you have a great weekend! Coozies are always a necessity! I think I have 2 (??) in there somehow. 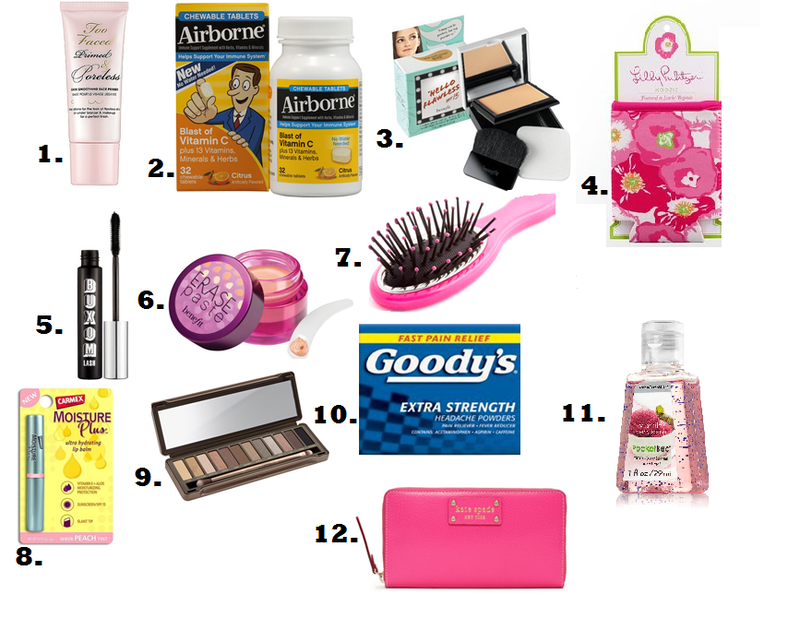 Benefit products are the best! Do you use the Benefit It's Potent eye cream? That stuff was made in heaven for sure! NO!? I need to try it! Such a cute post! I have the weirdest things in my hand bag. I also have to carry a huge one because I don't go anywhere without a book and an umbrella! Gotta be prepared! Those are always in my car! haha love it! I never thought to use the nake palette as the shaper for the bag, but great idea!!! And I use erase paste too - life saver!! I always love reading these type of posts!! can we just talk about how awesome your bag is?! Almost overstuffed but I like it that way! ;) Thanks Megan! i have WAY too much fun looking at posts like these. i will have to try out that boxum mascara, i've heard good reviews about it.